We are happy to announce that we have worked with MetaCert to provide a security API to enable our developers to protect their apps from malicious and unwanted links. Most mobile malware is downloaded when end users click on malicious links inside legitimate apps. 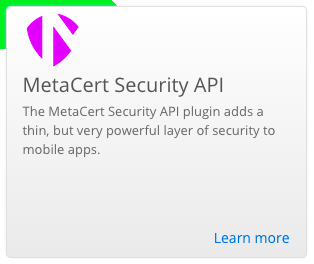 The MetaCert Security API adds a thin, but very powerful, layer of security to your app. The API allows you to check the reputation of web links in real time, providing an invisibly secure experience. It can be used to block phishing sites from loading or navigating to. You can also stop end-users from sharing links that are NSFW. Appery.io, the first mobile platform to offer a cloud-based rapid development environment with integrated backend services for the enterprise, today announced its partnership with Zagama, a leading app development company in Asia. This collaboration aims to accelerate time to market and will extend Appery.io’s innovative mobile cloud service platform, technology support and professional platform management to the APAC market with Appery.asia. Additionally, Appery.io and Zagama together will raise the whole market value for Appery.io in the Asia area. Building mobile apps with identity management wasn’t simple, until now. 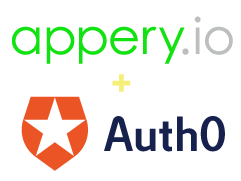 Auth0, a cloud service that eliminates the friction of identity for your app, and Appery.io, the only cloud platform with visual development tools and integrated backend services, are collaborating to make this happen. With the jointly created Appery.io Auth0 plugin, you can simplify identity management integration for your app, and this post will show you how.